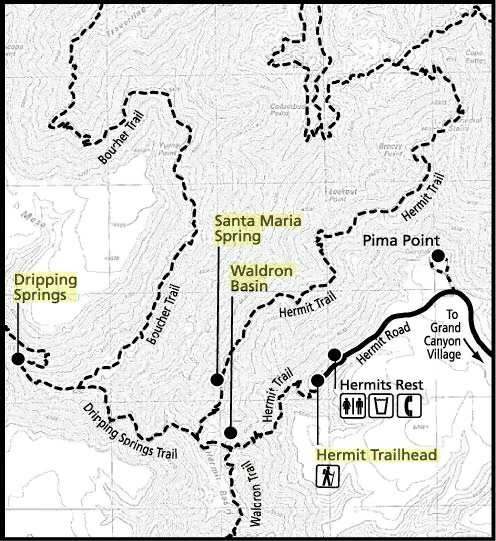 Hermit Trail (South Rim) The Hermit trail day hikes are to Santa Maria Springs and Dripping Spring. 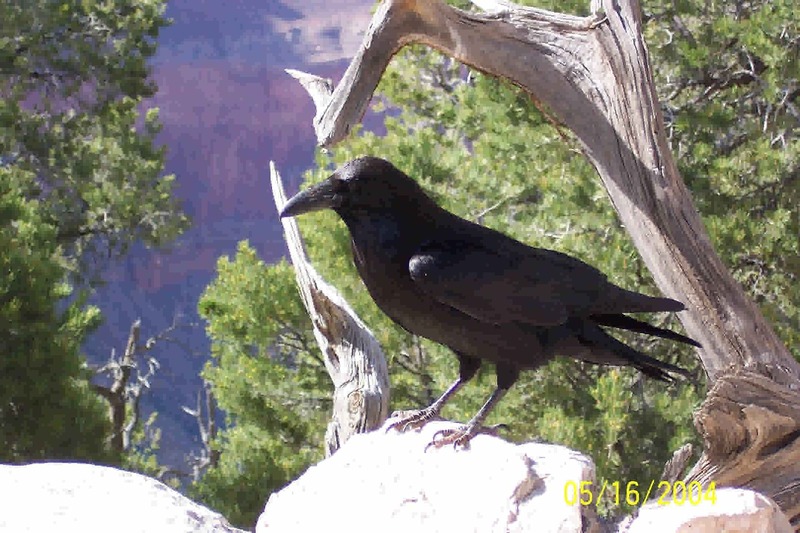 Trail conditions are tougher than the Bright Angel and South Kaibab trails. Allow extra hiking time because of trail conditions. Hiking boots a must. Only recommended for experienced desert hikers. YIELD to Hikers going Up-Hill. Steep, rocky, and strenuous. Unmaintained trail. Some shade on trail, varies on time of day. By shuttle bus, NO private vehicles allowed. Trail begins 500 feet west of Hermits Rest. NO treated water along trail. ALL water MUST be treated! Waldron Trail Junction 1.5 3 5400 Junction Sign (right at Jct.) No water. Santa Maria Springs 2.25 4.5 4880 X MUST treat water! Rest Shelter. Dripping Spring 3.25 6.5 5680 X MUST treat water! Use extra caution along narrow sections.